I am interested in conservation ecology, ecosystem-based resource management, and human interactions with the marine environment. For my Master’s research, I am modeling the social-ecological system of Narragansett Bay, studying how different components of the food web interact with each other as well as with resource-using communities. The goal of this project is to provide guidance to policy-makers by simulating different management strategies and scenarios for the Narragansett Bay ecosystem. I graduated from Vassar College in May 2018 with a Biology major and Anthropology minor. During college, I worked on projects modeling herbivory on coral reefs while at Bigelow Laboratory for Ocean Sciences, assisting in a tag-and-release study of sharks in the Turks and Caicos, and studying phenotypic plasticity of a Neotropical treefrog at the Smithsonian Tropical Research Institute in Panama (for my senior thesis). Since graduating, I have worked at Pioneer Valley Coral and Natural Science Institute, as well as Reef Environmental Education Foundation. 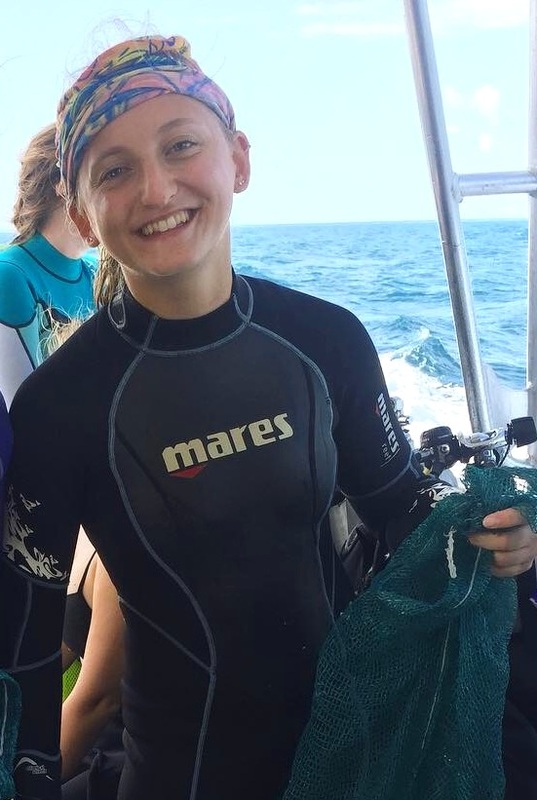 I am originally from Northampton, Massachusetts, and enjoy diving, rock climbing, and fencing.